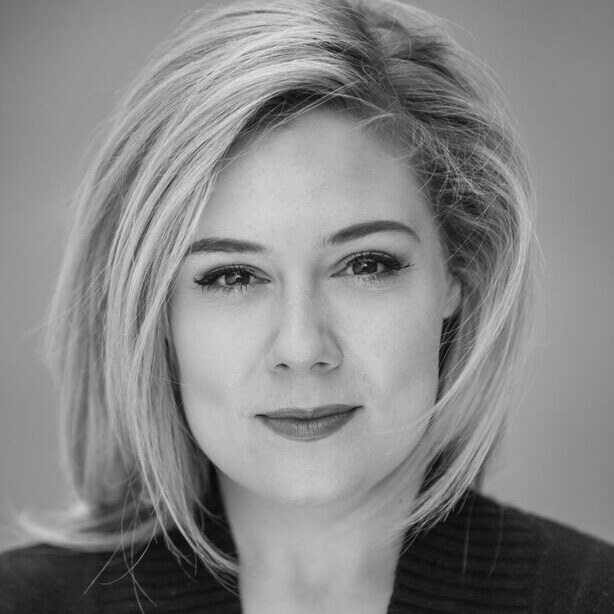 Originally from Lincoln, Angela Simkin began her training at the Royal Northern College of Music under Thomas Schulze and studied with Tim Evans Jones at the Royal College of Music, where she was a member of the International Opera School and an Ian Evans Lombe Scholar. She is a Britten Pears Young Artist and also acknowledges support from the Josephine Baker Trust, the Norrah Popple Award, the Boris Christoff International Award for Young Singers, the Georg Solti Accademia, the Mario Lanza Society, the Verbier Festival and the Worshipful Company of Musicians. At the Royal College of Music, Angela Simkin sang Nancy Albert Herring, Second Lady Die Zauberflöte, Conceptión L’heure espagnole and Madama la Rose La Gazzetta, as well as singing Teseo Arianna in Creta and Iside Giove in Argo for the London Handel Festival. Her engagements have further included Queen Elizabeth Merrie England for Opera South, Valencienne The Merry Widow and Margaret The Ghosts of Ruddigore for Opera Della Luna Hebe HMS Pinafore, Leila Iolanthe, Pitti-Sing The Mikado and Edith The Pirates of Penzance for the Buxton Gilbert & Sullivan Opera Company. Concert engagements have included Messiah with Bournemouth Bach Choir, the Nelson Mass at both The Music Hall, Aberdeen, and The Snape Maltings and a Gala Opera Concert with the Ten Tors Orchestra. During 2015 / 2016, Angela Simkin was a member of the National Opera Studio, also singing Lucilla Il vologeso for Classical Opera and Mozart Requiem with the Orion Orchestra. She continues her studies with Dinah Harris and is currently a member of the Jette Parker Young Artists Programme at the Royal Opera House, Covent Garden, where she will sing Mlle Dangeville Adriana Lecouvreur, the title role in Handel’s Oreste (at Wilton’s Music Hall), Annina Der Rosenkavalier and Flora Bervoix La traviata during the 2016 / 2017 season. She will also sing Messiah for Classical Opera at Middle Temple Hall and for Raymond Gubbay Ltd at the Royal Festival Hall.